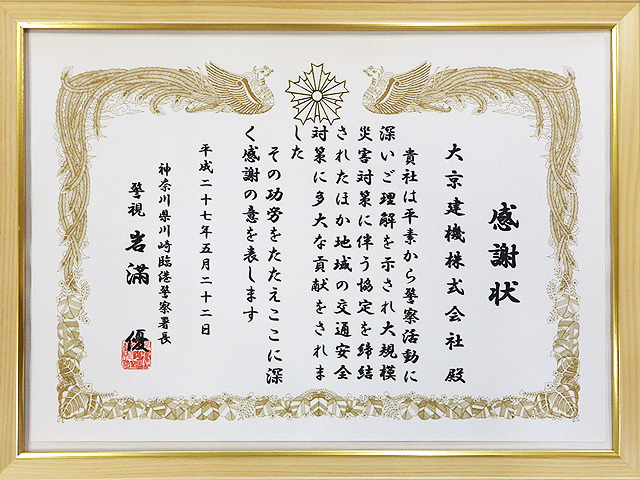 Regional contribution | Daikyo Kenki Co., Ltd.
Crane is a mandatory equipment when disasters occur. 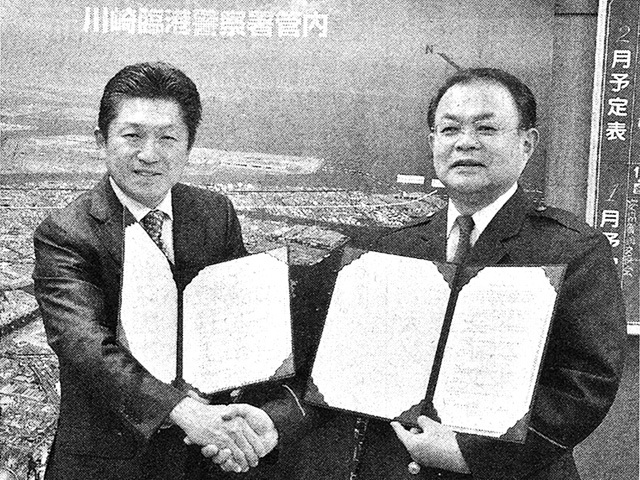 Currently, we have concluded the agreement with Kawasaki-Rinko Police Station to answer emergency helps and also concluded the agreement with Metropolitan Expressway Public Corporation to remove obstacles from highways. We have rebuilt our office where the largest yard belongs and made it the high disaster-resistance office in 2015 since it is the base of operations. 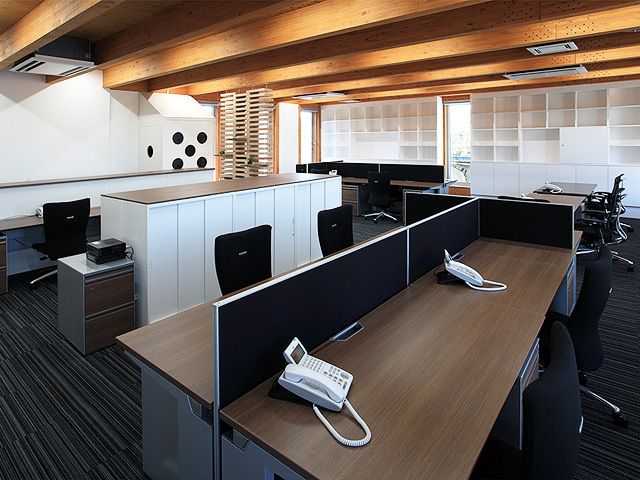 To resist the effect of liquefaction phenomenon, the office is built with 14 steel tube piles with a diameter of 60cm. 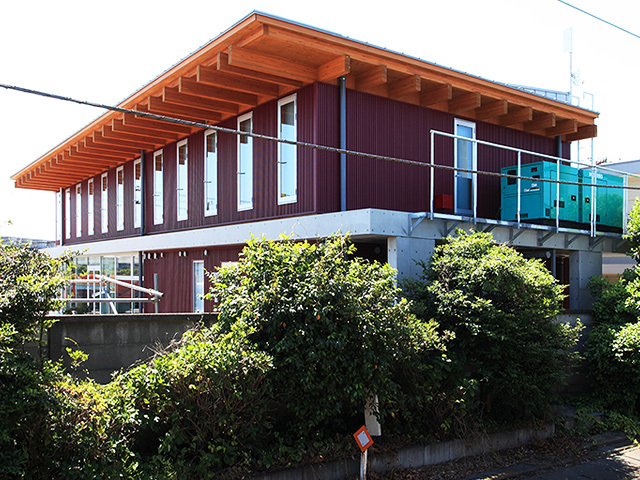 The first floor is built tough in a way of resisting Tsunami using rigid frame structure. 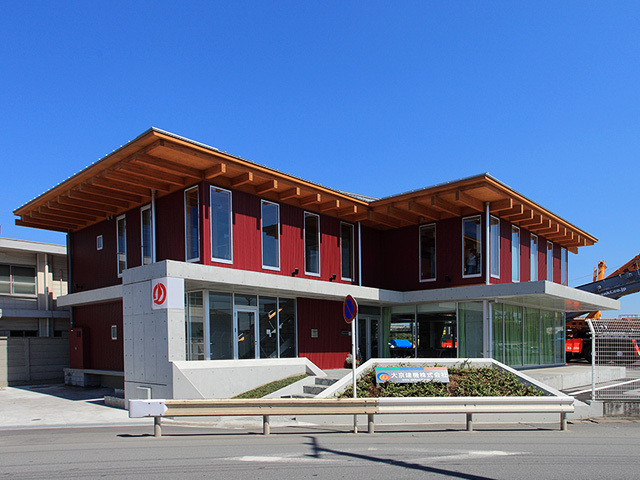 The second floor is the office work space, which is positioned higher than expected Tsunami height and the wooden interior structure provides warm and comfortable space for people. In case of disaster, we have equipped the emergency generator to keep our office running safely. 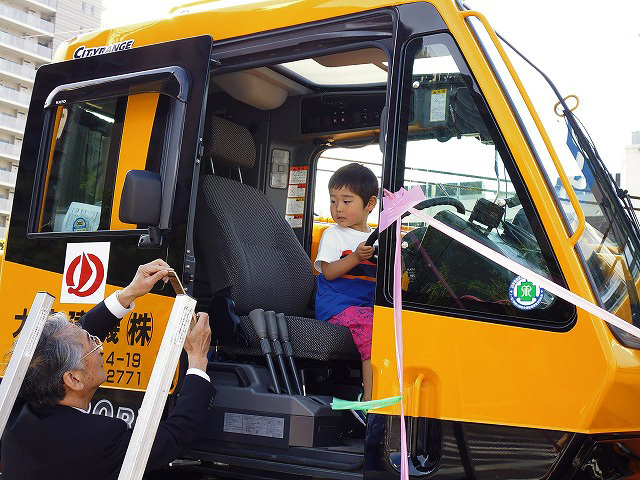 The special attention to pedestrians is necessary when cranes are on roads because of their large turning radius differences. We actively participate in a traffic safety practice coped with a local police department and wish traffic safety for our local communities.